• Do SEP Adhesives Result in Less Post-Op Sensitivity? 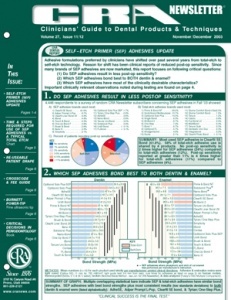 • Which SEP Adhesives Bond Best to Both Dentin & Enamel? 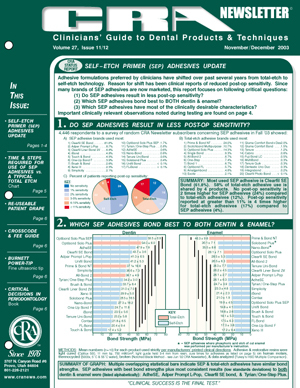 • Which SEP Adhesives Have Most of the Clinically Desirable Characteristics?